Janet Planet and John Harmon live in concert featuring classic Great American songs. A Sinatra medley, some Ellington, Alec Wilder and the “new standards” written by John Harmon make for a pleasant evening at the pops. 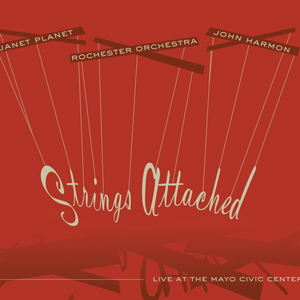 Rochester Minnesota Orchestra conducted by Jere Lantz.